International. There, he plans his international folk tours, folk dance classes, guitar concerts, and Mad Shoe Weekends, and, most important, writes his New Leaf journal. Since 1994, when he began his “Miracle Schedule” habit of morning writing, guitar playing, running, yoga, and language study, he’s written thousands of journal pages. Jim writes about what he knows best–the joys and frustrations of making a living as an artist, and the adventures of creating each day anew. His journals, which have been published in five volumes, are filled with humor, beauty, and imagination. Also a brutally honest road, it reveals his frustrations and anxieties about tour registrations, playing wrong notes on the guitar, aches, and worries about money. It’s also about having faith, and having fun. 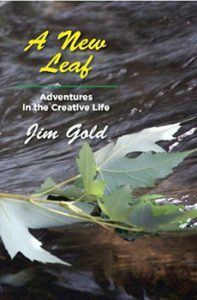 A New Leaf is a compilation of the best of Jim’s published journal writings. This book is a gold mine. Jim loved writing it; I loved compiling it, and you’ll love reading it! Jim adds: “Writing my journal is the most important thing I do each day. Writing, along with my “Miracle Schedule,” remind me of the spiritual foundation of my life and put me in touch with higher forces. of creativity called life. Ultimately, it’s all about having fun while following your star. I was brought up in the Bronx. My mother was an artist. My father was a high school principal. Music, the arts, and pursuit of knowledge were their passions. celestial forms passed above me. Mozart, Wienawski, Beethoven, Lalo, Bruch, Bach. Playing their music on my violin and listening to their symphonies; those were my highest moments. The gate opened; they ushered me into a world where gods dwelt. The High School of Music and Art introduced me to music and the epiphany of sound. On violin, and later on guitar, I played other people’s music. I was their instrument—loving, willing, but instrument nonetheless. Classical music, though beautiful, was filled with restrictions— do’s and dont’s, and endless possibilities of making mistakes. How could I be free when I constantly worried about committing such a wrong-note crime and facing the judgement of an audience? College introduced me to the beauty and magic of the printed word. Once I read about ideas, I knew music alone wasn’t enough. Dry intellect never held me. It was the beauty of ideas, the tasty morsels of words, and the rolling language forming in my mouth, that inspired me. During my last year at the University of Chicago, as I sat in my second floor apartment on 55th Street, I first thought of becoming a writer. Writing had music and sound; it touched my intellect as well as my soul. Most of all, it had freedom. When I wrote, I could finally express myself. I spent a year in France, then rented a room in Greenwich Village. For the next three years, I wrote. It was the beginning of a thirty-year experiment to find the source of my creativity and the reason I passed through states of melancholy. Why should this be, when music and the presence of others lifted me so high? Did it point to an aspect of self I didn’t quite know yet? practicing the postures. Soon they became a habit, part of my daily routine. I liked the yoga philosophy, too. . . and the sensual quality of the asanas. Yoga is an offshoot of my love of movement, which, as a child, was expressed in the physical exhilaration of running wild on our farm lawn before a storm or, as a teenager, playing basketball. That’s also why I teach folk dancing and run. I feel the musical high of a Beethoven symphony coursing through me. Since I married, I’ve made my living as a performer. First was my “World of Guitar” performances on college campuses nationwide. In the late seventies, I began teaching folk dancing. My Jim Gold International Folk Tours company followed soon after. Morning journal writing is the most important thing I do. It clears my mind, brings me inner peace, and makes my existence feel worthy and worthwhile. It’s my personal form of meditation. It represents the physical, mental, spiritual aspects of my development. When I write, I compose a symphony of sound. I have no idea where my words come from. They seem magical, a gift from above. No one knows how a word is created. I wrote them yesterday, but will I write them again today? Every morning I stand at the edge of a cliff, peering through my computer screen into a new abyss. I jump. . .and hope I can fly. Even though it earns no money, writing is the most important thing I do. It uncovers higher ground. The sounds of language passing through my mind make me feel great! Gifts rain down when I write. Writing clarifies meaning and purpose. Am I afraid to face it? Wasn’t Moses afraid to face his calling, afraid of the responsibility and burdens of leadership? Finally, he accepted his destiny and talent, and followed his path. I am ready to follow mine. Rise each morning. Write an hour! Create the most important hour of the day. This morning’s voice sounds strange, foreign, wild, yet full of discipline—a cry from the wilderness, a powerful Hibernian wind gusting from arctic heights, blowing away old forms and creating a clearing for the new. I do not know. But I will follow its voice into my future. approached the same way, as daily fare, a conversation with yourself. This approach takes the fear out of it, makes the process softer, easier. Then, it’s like discovering the center of the universe in a loaf of bread. woods, the attics, rooms, halls, and closets of my mind, provides a cleansing directional effect; it straightens me out and puts me on the road to somewhere; it pricks and forces me out of tired, stagnant molds and puts me on Light Highway. Yes, it’s all part of the glory of writing. its best. 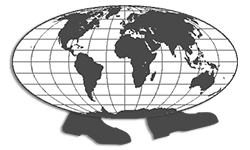 Let hammer toes hammer out universal messages; let bunions sing not of wider feet spreading through galaxies beyond the known universe. Yes, I am on a new road, the glory road. Thank God! Born today in twenty minutes of writing, this road leads first to hell, then to heaven. As I walk along the edge of a cliff staring into the abyss, I focus on revelation and a lifestyle of sparks and dynamite. term projects, for long-term projects are but reflections of short-term projects that, in turn, reflect the completed moment. Thus, my journal must reach publishable form even if it is never published. I need such a completion project. My back hurts. I’m drained. Can I write when my back hurts? Can I write, then throw away my pages? I’m trying, oh, Lord, I’m trying! Squeezing, pushing, limping, grimacing, pounding the keyboard, sweating to write my four pages and thus squeeze out the hour creating my freedom. Freedom from my obligation to write four pages. Freedom is my burden. Only a magnificent unobstructed flow of verbiage can set me free. I’m racing through my vocabulary powerhouse. Gray skies lower outside my window; umbrella people pass my house, huddled in scrunched up postures, fighting wind, cold, rain, and sleet. They’re going to work. I’m home at my computer, trying to create something of value for I don’t know whom and I don’t know what. It’s an endless quest. I could put in hours every day for forty centuries, and still there’ll be no end to commitment. Tied to the Promethean rock, pushing the Sisyphean rock up a hill for no political cause, ontological rationale, or higher purpose. Where is the sanctified road I can walk upon? Vanished. I pour and pour, hoping to reach the four-page quota. Perhaps I’m developing a skill, a looseness, a writing fluidity that will someday do me good. But when? And what kind of good? Am I doomed to write in circles for the rest of my life? the earth; so does the entire solar system. If it’s good enough for them, why shouldn’t it be good enough for me? Perhaps going in circles is the natural way, the best way. Going in circles may be a talent I never recognized. For thousands of years mankind has asked, What is the goal of life, its purpose and meaning? Why write, pray, or hope? What about love? I’d love to have readers poring over my words, telling me what significance, meaning, and lofty purpose my work has had on their lives; I want their respect, love, and admiration. But how long would that satisfy me? Probably five minutes. Maybe more, but not much. Would it inspire me to keep writing? I doubt it. It’s nice to be loved, respected, and admired, but sadly, not enough to make me write. The writing process has its own magnificence: It’s a subtle brand of torture. Perhaps I should give up the idea of this journal being literature, and rather think of it as my survival kit for functioning in the world. Perhaps I should give up the whole idea of “writing literature.” What is writing literature, anyway? Henry Miller didn’t write literature. He hated literature. Too phony, too pretentious. Rather, just pour out the real stuff. It feels like I’ll be writing this journal for the rest of my life. It is so simple, so easy, so natural. The words flow out. No preconceived notions, no plans, no outline or plot to follow. I write whatever I like in whatever order I like. Any crazy thing that comes to mind gets written down. It may interest no one but me, and it may not even interest me. But it serves the wonderful purpose of self-liberation. It is my daily psychoanalysis, my daily adventure into the unknown, the unexplored realm of my self. It feels like the amount of writing I can do is endless. I can go on and on. Most of it may be drivel, but it is my drivel. I’m so happy I’ve discovered this. And my back feels so much better! All Is One: The Whole Room Got Up to Folk Dance! ment for, ostensibly, “doing nothing.” This is my ego’s biggest fear. When I work at a Bat Mitzvah or any event, I am vulnerable, and at the mercy of the crowd’s wishes. And they may wish not to dance. Here’s what happened: After much hidden trepidation (I know it was “hidden” because I ended up hurting my back when I bent slightly over to pick up my guitar) I walked to the center of the room. Everyone was eating lunch. I announced “Good afternoon, everyone. Welcome to the Emily Turzok Bat Mitzvah. Now we are going to learn the hora and how to dance Israeli dancing.” This announcement was greeted by absolute silence and total indifference. People continued eating as if I had said nothing. They talked, chattered, bantered with one another. Embarrassing to me, indeed. How would I get them to do anything? I figure I’d better go over to each table and ask them personally if anyone wanted to dance. When I did, a few smiling heads nodded and some smiling faces said yes. I looked back at the dance floor and, lo and behold, three people were standing there. Evidently, they had heeded my announcement. creative souls! My initial reading of them was wrong. It had been based solely on my fears. So, with a little help from God, the afternoon dancing turned out to be an incredible success! Later I thought: What a beautiful magical event! How can I now accept that I was responsible for creating it? Then I realized I was not alone. Obviously, I could not have done it without the bat mitzvah participants and the help of God. He created the ultimate miracle of our togetherness. I can write, play guitar, run, do yoga, study, and follow my miracle schedule. But I cannot exist without the other. On the deepest mystical level, there are no real divisions. We are all connected. All is One. Beauty-filled, beauty-full. Beauty is the All-Is-One experience. Now this is something to meditate on! Meditate on the beauty of folk dancing Bat Mitzvah Oneness. Dr. Zoltan “Fok” Dansz is my alter ego. I’m writing his journal in the style of my own. Perhaps some day it and he will merge. Dr. Fok is off the wall; so are parts of my journal. He is a hidden voice in my journal. He is me; I am him. Yet he is different. We’ll see where he takes me……. I am moving slowly across the dance fields, taking a bath in the whirlpools of tourism. How shall I name them? The Zoltan Fok Dansz Tours, or Zoltan Tours? Does it matter? Mainly I want to collect a tourist herd and graze them across the glories of Hungary, my beautiful Magyarország. To dance with merry mustaches and wide aprons, sing songs from Debrecen, eat and drink, laugh, cry, visit porches, sit at dusk drinking bulls’ blood while the sun sets over the plains or across the fur-fields laden with fruit wine, while we break our teeth speaking Hungarian. . . .
A new day begins, and my legs are spinning in their sockets. Last night we grapevined in perfect step on the dance floor, creating a whirl of Greek steps that only islanders from Santorini, or their Atlantean ancestors, would appreciate. Zeus visited us. We undulated, fell on our knees, performed sweeping leg lifts, shimmied, and openly displaying our manliness before the surrounding women folk. This morning my words are boiling like the stewed goulash I cooked on the Hortobagy plain when I collected swine-herd dances fourteen years ago. Ah, fourteen years ago….Irode my csikos horse across the plain, scanning the horizon, checking out the sky laced with hora-swirling clouds; I searched with my sharp eyes for Christian monks playing volleyball and for the perfect peasant dance. I couldn’t find it in the Hortobagy that year, but who cared? My purpose was to look. Besides, my horse was wild. Hortobagy wind blew through my hair as I inhaled the scent of distant hidden manure in the high grasses of this finale-flattened Eurasian steppe. I climbed off my horse and lay down on the grass in the middle of that vast and empty plain under the beauty of the shining sun. I agreed with Ferenc. Certainly I would like to pen my terpsichorean vision, form a verbal mold filled with the vibrations of the myriad steps and patterns my restless feet have danced over the years. I would ask many questions: How did medieval Hungarian calves feel after dancing all night in a csárdá? Did they experience indigestion along with a longing for celestial visions? I mounted the thirty-two wooden steps to my top floor, mirror-lined dance studio at 6 Gyarmat utca. But I was in no mood to practice dancing. I am rarely in a dancing mood when I enter my studio. Perhaps Gyarmat utca is too far from the Danube, or the studio is too dark, or I need live music, or I crave the hot blood of an audience or even the worldly inspiration of cash payment. Whatever the reason, I’m rarely in a dancing mood when I enter my studio. Yet dance I must. Not only Hungarian repertoire, but dances from Bulgaria, Macedonia, Greece, Romania, Turkey, Israel, Serbia, Slovakia, Russian, Ukraine, France, and the Netherlands as well. Hungarian. Like dancing itself, my improvisations are beyond language. I have a “secret” language to “describe” my warm-ups: It is called danceobabble, the language of improvisation. It wipes the cobwebs from the mind so that the throbbings of the heart may shine pure and clear. How do I transcribe danceobabble to the printed page? write a journal while I dance. I’m so excited about the publication of my new book “Folk Dancing Made Simple.” This priceless work is beyond description. Hundreds have already purchased the cloth-bound edition. Advanced sales have my publishers, the Ujtanc Press, pressing in their pants. Many avid folk dancers have barricaded themselves inside the Ujtanc Building on Kerult utca; some have chained themselves to the doors. Nobody wants to leave with out a copy of my book. Naturally, this makes me happy and proud. fly at this Bat Mitzvah—or any other event. Last night we heard a beautiful concert given by the Bohemia Musica, a famous group from Prague. It was presented, along with a mime performance. The first third of the concert was classical music, then came mime, then folk music. Wonderful performance! And all given in a magical castle in the fantastic fairy-tale town of Cesky Krumlov in southern Bohemia. We must book our hotel there next year. A few hours before the concert I was sitting in an outdoor restaurant sipping coffee, and gazing into the fast-flowing Vltava river. I was thinking about how this Cesky trip is opening up new directions, pointing to a return to classical music, and incorporating it into my tours and back into my life; I thought about how to reach the music lovers of Dvorak, Smetana, and Janicek, how to become a lover of art once again and visit the Metropolitan Museum, joining the pictures on the wall as I did when I was a child, how Bohemia offers beautiful architecture, classical music, and intellect. Once again I realized the difference between a tourist and a traveler: a tourist learns about a country; a traveler learns about himself. transcendence, classical music, and about playing the gorgeous classical pieces of Smetana and Dvorak on the bus as we drove through the bucolic landscape of south Bohemia. Then, to my great surprise, Sue said she had been a child prodigy on the violin and piano! She had given concerts, performed all the big concertos, but gave it up completely at age seventeen when, during a performance, she forgot a piece twice. Then she walked off stage and decided to never play violin or piano again. is to deny the miraculous value of the gift. That says it all! Remember it not only for the rest of this tour, but for the rest of my life. God has given me the gift of artistic ecstasy, a window through which to glimpse His all-mighty power. I love Sue’s wording! Who put her on this trip, anyway? All the books I’ve read on self-improvement, self-help, searching, looking for answers and new directions cannot match the power, truth, and majesty of her statement.